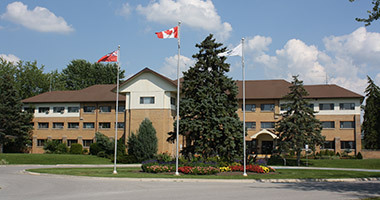 The Building Division reviews permit applications, issues permits and conducts on-site inspections for construction and renovation projects within Georgina. If you are planning to construct or demolish a new building, addition or deck, install a pool or renovate/alter an existing building, you will need to obtain a permit before you start. The information below will help you prepare to obtain a permit. For assistance or more information please contact the Building Division by email at building@georgina.ca, or by telephone at 905-476-4301. Minsitry of Environment, Ministry of Transportation, Heritage Committee, etc. After you review the web site for the type of project you are proposing, you may contact the Building Division at building@georgina.ca or call 905-476-4301. Yes, as the owner of the property, the Building Code under Division C, 3.2.4 provides an exemption for you to create your own drawings. However, if the drawings are below standard and missing information you will be asked to complete them. Can my contractor or designer apply for the Building Permit on my behalf? Letter of Authorization. Although the contractor or designer is acting on your behalf, you are responsible for ensuring your agent is calling for the inspections and constructing in accordance with the Building Permit drawings. Ultimately, under the Ontario Building Code, the owner is responsible for all construction on their property. Each project is given a cover sheet explaining which inspections are required and when to call for an inspection. The sheet also describes how and when to request the inspection. How do I find out what agencies to apply to for my proposed building project? There may be external agencies that are applicable law such as Lake Simcoe Regional Conservation, Ministry of the Environment, etc. If your property is along the lake or close to a water body, it is likely to be regulated by Lake Simcoe Conservation Authority. Drop by to the Building Division service counter or call us at 905-476-4301 and discuss your proposal with our staff. They will be pleased to answer your questions. I am moving to a new house and wish to do some renovations and / or an addition; can I apply for my building permit before taking ownership? You need an authorization letter from the current owner of the house prior to applying for a building permit. If you have bought a house that is in mid project from the previous owner, you must apply for a Transfer of Permit. You can also submit for the permit, have all approval and zoning in place, then apply for the final Building Permit once you own the property. If after 6 months construction has not yet commenced, your permit may be revoked as per section 8 of the Building Code Act. If you find you cannot start the project within the 6 months, you can write to the Chief Building Official for an extension on the permit. The Ontario Building Code Act and municipal Zoning By-laws allow construction to be carried out in accordance with the Ontario Building Code and applicable law. This is not a public process where neighbours would be notified. Where the proposed construction would not comply with Zoning By-law, an application to the Committee of Adjustment for a Minor Variance to the zoning requirements may allow the applicant some relief. This is a public process where neighbours within 60 meters would be notified. What do I do if I decide to change my plans before I get my Building Permit? You must submit the revised drawing(s) to the Building Division. There may be a fee associated with the submission. What do I do if I decide to change my plans after I get my Building Permit? You must submit the revised drawing(s) to the Building Division prior to changing the construction from the plans on which the permit was issued. Any construction completed not in accordance with the permit drawings, will result in orders being placed on the project. If you have a contractor doing the work, ensure the contractor submits revised drawings prior to commencing the change. There will be a fee associated with the revised submission. Yes you need a permit to demolish any building over 108 square feet or if the structure has plumbing. If the structure in connected to municipal water and services, the property owner must call the Building Division to have the capping off of the services inspected. It is the responsibility of the property owner to have the utilities (i.e. Hydro, Gas) located prior to demolition. Once the site is clear of debris, another inspection is required to clear the permit. Any material must be disposed in an approved site. Do I need a Permit if I want to put in a new bathroom? Yes a Permit is required for the installation of water and drain pipes and the fixtures. What if someone is constructing without a building permit? Who do I see about installing a septic system or repairing an existing septic? All septic designers and installers are licensed through the Ministry of Municipal Affairs and Housing. The Building Division in the Town of Georgina takes in applications and issues permits for installation or repair of septic systems. Most types of landscaping do not require permits such as hedges, patio stones, etc. However, a Site Alteration Permit may be required from the Development Engineering Division. For electrical permits and information contact the Electrical Safety Authority (ESA) at 1-877-372-7233. They are the regulatory body who is responsible for this type of work across Ontario. Tarion is the new name for the Ontario New Home Warranty Program. It is a private corporation to serve as the Regulator of the home building industry in Ontario. Tarion licenses all home and condominium builders pursuant to provincial legislation. This statute requires home builders to provide purchasers with warranty coverage that is guaranteed by Tarion. It also establishes minimum time standards for after-sales service, and adjudicates issues between homeowners and builders. I am the property owner and I want to build my own home, will my home be covered by Tarion? Property owners who act as your own general contractor (i.e. you are personally hiring each of the various construction trades) and intend to live in the home after construction. Your home will not be covered by warranty under the Ontario New Home Warranties plan Act. If I am going to hire a designer for my project, how do I find out about their qualifications? As the owner of the property, you are responsible for ensuring that you have hired qualified people. For more information regarding designer qualification and exemptions, please contact the Ontario Ministry of Municipal Affairs and Housing (MMAH). Designer qualifications can be viewed through the MMAH or by accessing their on-line Public Registry.